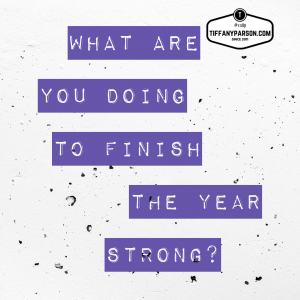 In this episode, I discuss the change of season and what we can do to finish the year strong. Your thoughts, ideas, and dreams are destined to be more than privates notes in your journal. It’s time to activate them. Bring them to life. Start the birthing process in the last two and half months of this year. THANKS! I appreciate you reading, listening, and/or watching this and hope you have a wonderful day!